I have really enjoyed the interactions sparked by this last series on the gospel and our view of sanctification. To wrap up the series, here is a great article by Dane Ortlund on Jonathan Edwards’ doctrine of sanctification. I commend it to you, as well as the site it is hosted on. UnionTheology.org is a newly launched site that you will want to browse around and bookmark. You will find some items from me on there, along with some great articles, audio and video from others that will be well worth your attention. Here is the article by Dane Ortlund on sanctification, and here is the link to the front page of the site. Thanks Peter, that was a thoughtful take on Jonathan Edwards! It seems like Edwards has what I would call a mixed-grace message but is that at all surprising for a man who was steeped in New England’s Puritan waters? If we begin our theological paradigm with a God who is the sovereign ruler (as the Puritans) then the logical conclusion is that the goal is obedience. But if we begin with the Trinitarian God, Who before He created anything, was a relational God of Father, Son and Holy Spirit, so that God is a Lover, then the logical conclusion is that we would be those who are hard wired for as responders rather than Law driven obedience. Jonathan Edwards is a man with a mixed-grace message due to the influences of his time and the predominate theologians of the New England community were the Reformed separatists. Is it any wonder that he produces mixed-messages? Peter, thanks so much for sharing this link. I am really excited about what’s being offered through Union! Also, I had a rich time reading and listening to many of the offerings on the site (good thing my college semester just ended, or I might have been a delinquent student!) 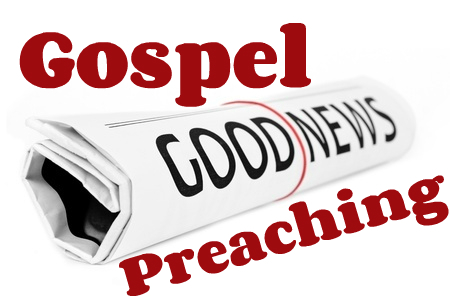 I enjoyed your series on preaching the gospel. It was very good learning and an encouragement to my heart. Thank you.